Rental of a whole or partial residence to visitors for less than 30 days is commonly known as a Short-Term Rental. Its legal term, according to Wisconsin State Statute ATCP 72, is a Tourist Rooming House. These rentals are typically found online through websites that connect homeowners with people who need a place to stay when they're traveling. Some examples include Airbnb, VRBO, and HomeAway. Wisconsin allows for the rental of sleeping accommodations, which can either be rooms in a home or an entire home or cabin, for less than 29 consecutive days. A Short-Term Rental / Tourist Rooming House operating within the City of Racine must be located in the host's primary residence. All City of Racine Short Term Rentals / Tourist Rooming Houses must be permitted through City of Racine Public Health Department and inspected annually to verify the operation meets all requirements of Wisconsin Statutes related to public health and safety. Obtain a Wisconsin Seller's Permit. Submit a completed Short Term Rental / Tourist Rooming House Permit Application ( Printable Application or Online Application) with proper payment to the City of Racine Public Health Department. See the Public Health Department Fee Schedule. Room Tax Permit: Contact the City of Racine Clerk’s Office for questions regarding room tax. They may be reached at 262-636-9171. Contact the Environmental Health Division at 262-636-9203 to schedule a property inspection. Inspection and permit approval must be completed prior to renting out sleeping accommodations. Complaints about short-term rentals in City of Racine can be made by contacting the Environmental Health Division at 262-636-9203 or by using the Online Complaint Form. Homeowners are required to obtain a Short Term Rental / Tourist Rooming House Permit from the Environmental Health Division prior to offering this service to visitors. A Joint Inspection (Building, Fire and Public Health Departments) must be completed for permit approval. The permitting year is from July 1 until June 30 of the following year. Public Health and Fire inspections will occur at least once every permitting year to ensure continued compliance with regulations. If an initial permit is approved in April, May or June of a given year, such permit will be valid until the end of the following permitting year, on June 30. 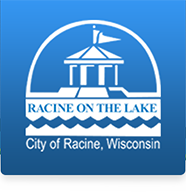 Room tax must be collected from visitors as required by City of Racine Ordinance 90-55. Check with the City Clerk’s Office at 262-636-9171 for questions regarding room tax. Short-term rentals must report and pay Wisconsin sales tax. City of Racine is subject to 5.1% sales tax (5% state, 0.1% stadium). Exception: If a host's taxable sales are less than $1,000 in a calendar year, a sales tax exemption may apply to the sales. For more information, see Exceptions for Taxes Collected by Residential Short-Term Lodging Marketplaces from the Wisconsin Department of Revenue (WI DOR). If you have any questions, contact the WI DOR at 608-266-2776. As a property owner, you may be subject to lease agreements and/or cooperative, cohousing, condominium, homeowner association, or tenant organization regulations.